Britsburgh invites you to become a charter member of the Britsburgh Literary Society. The Britsburgh Literary Society seeks to bring Pittsburghers together over a pint, a bite to eat, and a lively discussion of British and American literature that sheds light on our world today. MEMBERS LOGIN FOR FREE REGISTRATION. To become a member, visit the Britsburgh membership page. Have a drink and good food in the The Library Pittsburgh pub before participating in a discussion on Charlotte Brontë's classic work - Jane Eyre, seen through the eyes of Alan Stanford, Artistic and Executive Director of PICT's upcoming production. Charlotte Brontë's beloved Jane Eyre will leap off the pages of the novel onto the stage of the Fred Rogers Studio at WQED from April 5-28. Get a behind-the-scenes look at the creation of the stage adapation of Charlotte Brontë's novel as Stanford, who adapted the novel for the stage, discusses the origins of the production, provides insight into Charlote Brontë and her sisters, and establishes the historical and social context of the play. Stanford began his career in Dublin and was principal director of the Gate Theatre Dublin for nearly twenty years. Stanford is now in his seventh year as director of PICT - Pittsburgh’s Classic Theatre. Come and learn from Alan Stanford and enjoy the discussion. Special thanks to PICT, Alan Stanford, Eileen Clancy, and Carolyn Ludwig for their help in making this Britsburgh Literary Society event possible. What attendees should expect: Our aim is to dive deep in to the mind of the author, to learn about the subject matter and to discuss how it is relevant today. Reading the novel or viewing the movie beforehand will be helpful, but it is not required and there aren't any tests! 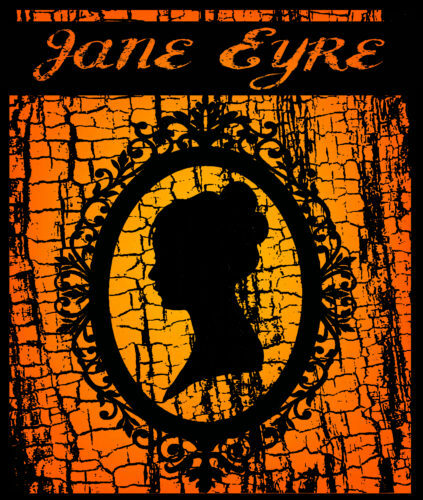 On Saturday, April 26 Britsburgh Literary Society members are invited to attend PICT'S 2pm stage performance of Jane Eyre followed by Britsburgh Audience Talk-Back with the cast and director. Society members receive a $10 discount on ticket purchase. We encourage you to join the Britsburgh Literary Society today.